My post this month at Authors Speak is called ‘Take Note’ and is about the influence of music in my writing. You can read it here. Drop by and read the other posts on the blog! I’m hosting Mann Ramblings today on my LJ as part of his release day blitz with Eyes on Books for Priest and Pariahs from Wayward Ink Publishing. I’m interviewing S. Zanne today on my LJ as part of her blog tour with Eyes on Books for The Devil’s Hand Series from Wayward Ink Publishing. There’s also a rafflecopter giveaway. 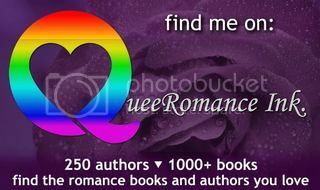 I’m interviewing Gigi Kern today on my LJ as part of her blog tour with Embrace the Rainbow Book Promotions for Finding Love. There’s also a rafflecopter giveaway. I’m interviewing Jena Wade today on my LJ as part of her blog tour with Embrace the Rainbow Book Promotions for Just a Week from Loose ID. There’s also a rafflecopter giveaway.